Panalpina and Cargolux enjoy a unique situation – sharing a global business relationship for imports, exports and transit via the busy international hub in Luxembourg. The Cargolux network is complemented by Panalpina’s Charter Network, which caters to a sophisticated market and offers tailor-made transport solutions for goods across the world. 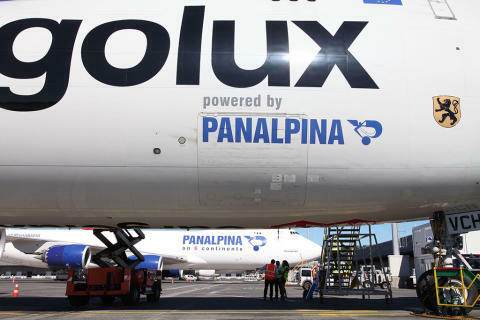 In honor of the continuous support Panalpina has given the cargo carrier since the early 1970’s and the joint vision both companies share for future growth, Cargolux added a ‘Powered by Panalpina’ slogan to the livery of one of its aircraft. This Boeing 747-F, with the registration LX VCH, has been a part of Cargolux’s fleet since May 2013. 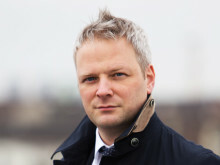 “The mutually beneficial partnership between Panalpina and Cargolux goes back a very long way. Both companies, air freight pioneers in their own right, have made an important contribution making Luxembourg an important international air freight hub. Carrying Panalpina’s logo on one of our freighters is a sign of appreciation of our strong ties,” said Cargolux CEO, Richard Forson. The combined global network of both companies supports doing business worldwide, rather than relying on just one or two regions. Since Cargolux started its first flight to and from Hong Kong, Panalpina has been Cargolux’s number one customer out of Asia. Dedicated space across the Atlantic is also the result of great collaboration between the two companies. 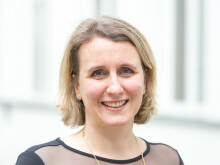 The partnership enables both companies to conduct business where they have a joint presence. Given the good relationship and long-term strategy, combined with expansion of the two organizations, opportunities are in the pipeline to further enhance the partnership. Cargolux’s joint venture in China provides prospects for growth in one of the biggest cargo markets in the world, while Cargolux Italia, another joint venture in Italy, is an ideal set-up for key strategic locations and customers. Panalpina has supported Cargolux in a range of supply chain solutions internationally, including oil and gas projects in Africa and Commonwealth of Independent States (CIS), healthcare shipments out of Europe to the entire world, and transport of perishables out of Africa and Latin America.